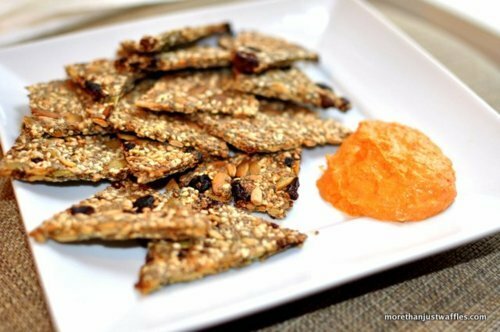 The best thing about these crackers - other than the fact that my gluten-free friends can eat them and my gluten-loving friends actually love the taste too - is that the recipe is so easy you can pretty much memorize it after attempting it once. 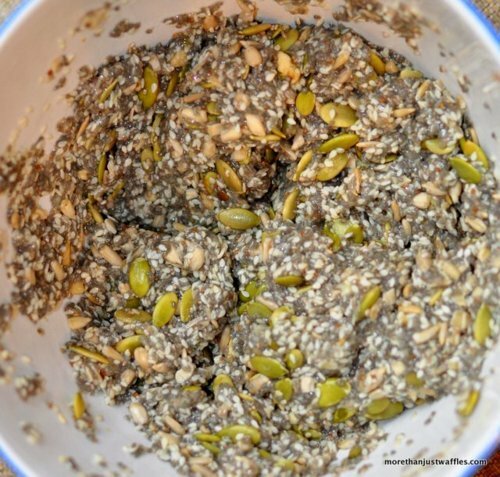 It basically just includes a half cup of four types of seeds - the crackers bind together through the magic of Chia Seeds (cha-cha-cha-chia!). When you add the water to the chia seeds they excrete clear jelly an stick the whole mixture together. 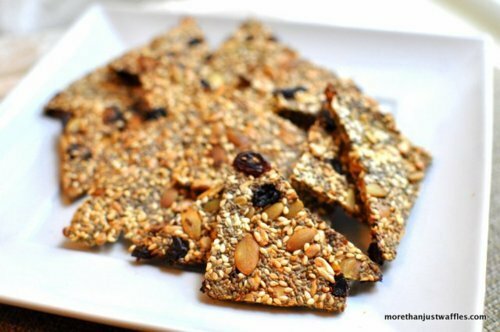 Chia seeds are also magical because they are packed with all sorts of nutritional value - hence the name Endurance Crackers. I found the inspiration for these crackers at Oh She Glows. Angela suggests adding garlic and onion but I find the garlic and onion take up more time and tears than I’m usually willing to give up so often I just add the Herbamare (which, I discovered, is herb-infused salt). If you’ve never heard of Herbamare and don’t intend to take a trip to the health food store just to try something new and novel I would just add a few herbs of your choice - oregano and sage would go well - in addition to salt. 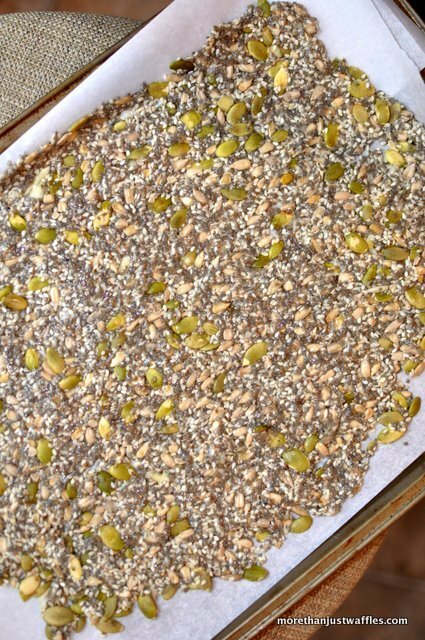 After your mixture is sticking together like an alien-seed-blob you simply spread it on 2 parchment lined baking sheets. I also threw in craisins at the request of my roommate - which I would highly recommended. I would also recommend spreading the mixture as thin as possible to get the most cracker-like end-product. Then cook for 30 minutes and then flip it. I find it easiest to flip after cutting it in half with a pizza cutter. Then cut the two halves into smaller cracker-sized pieces after you flip the large pieces. Then cook for another 20-30 minutes and voila! The crackers go great with Angela’s Red Pepper Hummus which I also tried out - it turned out great, I have to admit though I took a shortcut and used jarred red peppers. 1 Tbsp Herbamare (or herb-salt mix of your choice). Combine all ingredients in a bowl and stir until it sticks together. Spread in a thin sheet over 2 cookie sheets lined with parchment paper. Cook for 30 minutes at 350. Flip and cut into pieces and cook for an additional 20-30 minutes. Serve with hummus or by themselves.